The experienced production team will help you take your song from an idea to a master ready for radio, film, TV, internet or mass production. 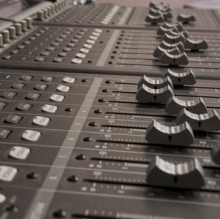 Our music production service covers each and every aspect of completing a song or a full-length album. 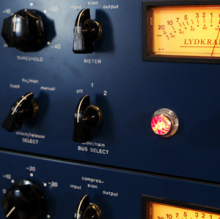 Mastering is the process of taking a recorded piece and enhancing it to its fullest potential. It’s the fine-tuning that makes your track sound as “big” and as “clear” as possible without compromising the original feel of the song. A less than perfect vocal track can make an otherwise amazing song, fall upon deaf ears. Don’t let a few tweaks stop your music from reaching the world and take advantage of our Vocal Tuning Services. PREMIUM ONLINE MIXING AND MASTERING SERVICES Create Undeniable Major Label Records at Indie Label Pricing Order Today! If your song is already a hit but you want a remixed version to appeal to a broader audience our producers have the major label remix experience to make a remix of your song worthy of the top of the charts. Custom Remixes are as little as $500. Contact us for a FREE estimate today! Mixmastered Studios is your online source for affordable audio services. We help artists accomplish their dreams, at least sonically. At Mixmastered Studios we can take your song from an idea to a complete mastered work of art for the fraction of the cost of other mastering studios. 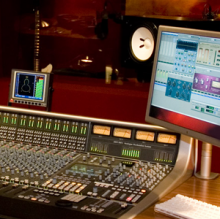 Recording studio time is costly and time consuming. We offer you all the same services and talented staff for less! All of our producers, mixing and mastering engineers have major label experience. The bottom line is good quality does not have to be expensive and Mixmastered Studios proves it! Our on-site live event recording services offer a great solution for when you’d like your audience to be able to take their experience home. Live event recording is ideal for concerts, recitals, conferences, lectures, seminars, school programs, and other special occasions. In some cases, we can even provide on-site duplication services so event recordings can be available nearly instantly in CD or USB format. Location Recording Packages include use of appropriate microphones, cabling, preamps and hard-disk recorders as well as a recording engineer. The average turnaround time for a project from recording to delivery of the final product is typically 2 weeks. For more information, to check on availability, or to request an estimate, please contact us for a Live Event Consultation. This is a great opportunity to make your musical memories last a lifetime.